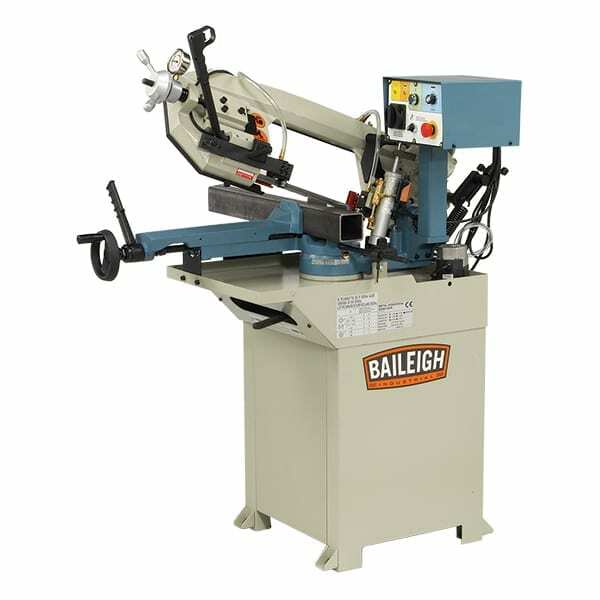 The Baileigh BG 379 3 Belt Grinder will be at home in any industrial setting where grinding is part of the daily routine. It has three inches of useful width and is perfect for grinding castings clean, or any metal surface that needs burrs removed. 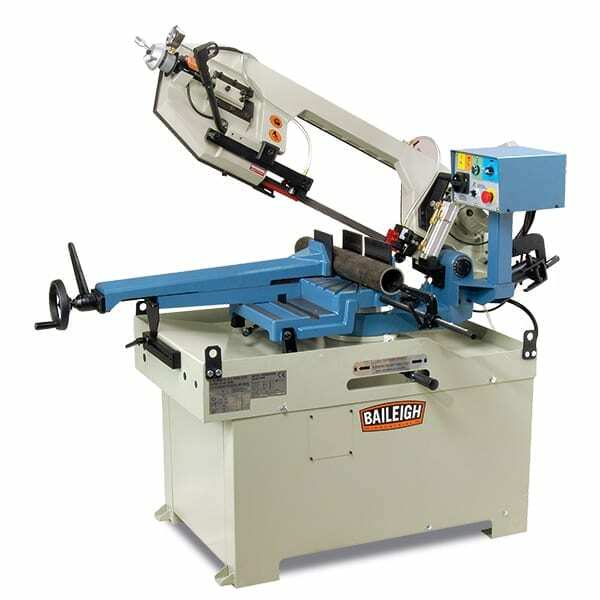 The BG-379 uses 400V three phase power to run a 4 hp motor that turns a standard 3″ X 79″ abrasive belt at 76 x 2000 mm speeds of 2040 mpm. 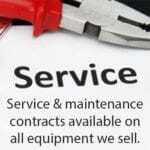 Because of the three phase power it will not dog under full load making it more efficient then other grinders on the market. 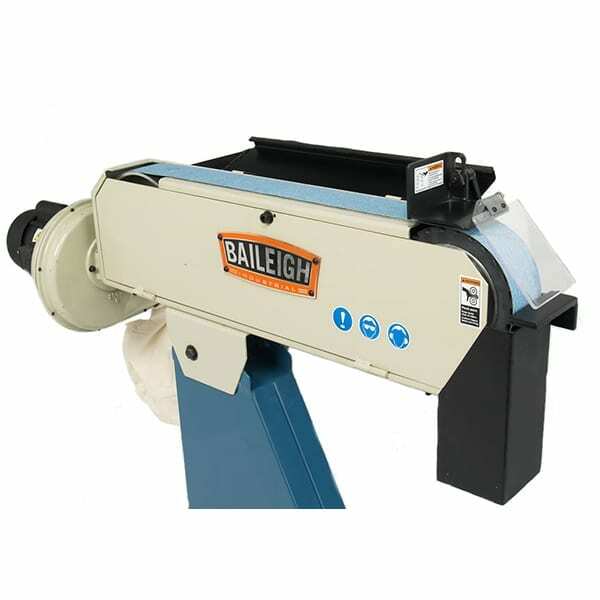 The Baileigh BG 379 Belt Grinder will be at home in any industrial setting where grinding is part of the daily routine. It has three inches of useful width and is perfect for grinding castings clean, or any metal surface that needs burrs removed. 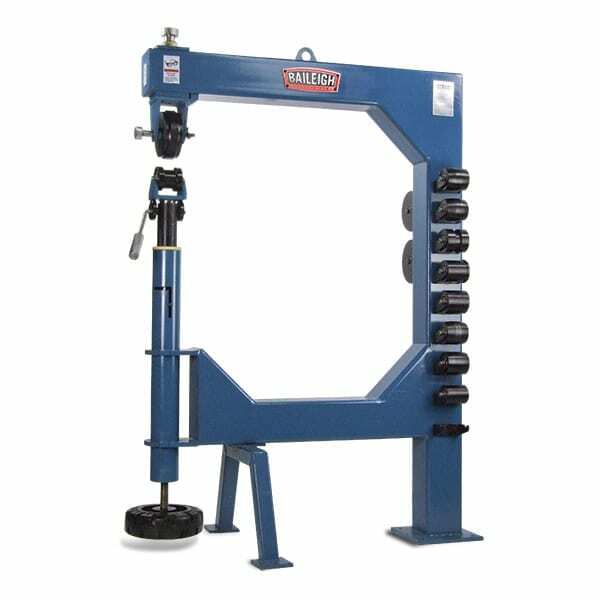 The BG-379 uses 400V three phase power to run a 4 hp motor that turns a standard 3″ X 79″ abrasive belt at 76 x 2000 mm speeds of 2040 mpm. Because of the three phase power it will not dog under full load making it more efficient then other grinders on the market. 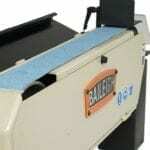 The BG-379 abrasive belt grinder has long lasting urethane covering on the idle wheel. 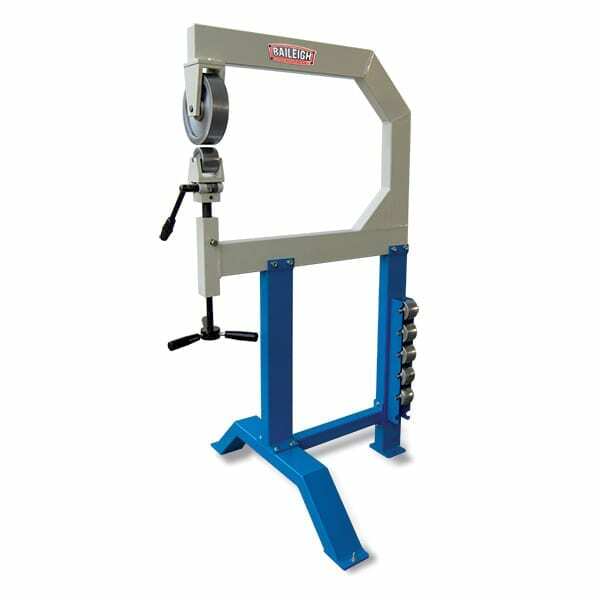 While the drive wheel is made from solid billet aluminum and has a simple tracking and tensioning system that increases belt and machine life. 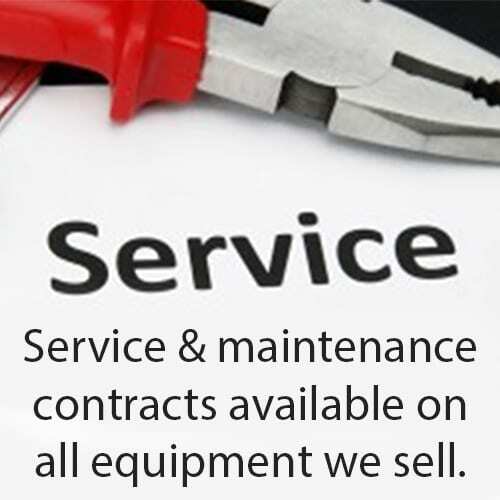 A front removable catch basin helps keep the grinding machine clean along with a powerful 220 volt dust extraction system. The dust extraction system is a must have for any abrasive belt grinder and helps keep the machine and your shop floor clean from grinding debris. Like other Baileigh abrasive belt grinders this one is made from heavy steel that is folded and fully welded for rigidity and vibration reduction. 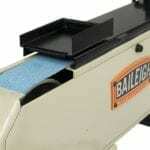 The top guard opens up allowing for a large flat grinding surface, perfect for castings. 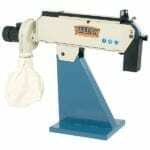 A triangular steel base allows this abrasive belt grinder to pivot to the desired angle for best operation.